Valentine’s Day comes early (or really late) for lovers of David Bowie. The legend is back with a new song from his surprise 2013 release, The Next Day. Bowie doesn’t roll out the guest stars for this video. 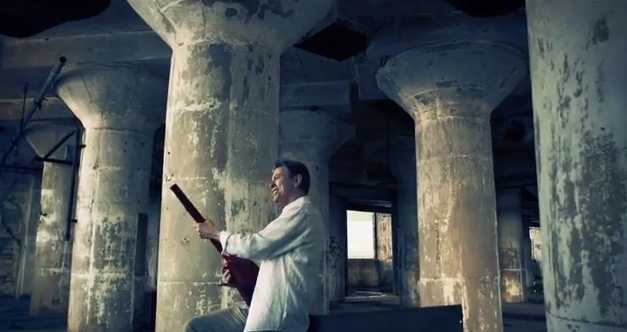 Instead, we have Bowie, his electric guitar, and some ancient looking columns in a long corridor. The video is directed by Indrani and Markus Klinko, who worked with Bowie on the artwork for 2002 release, Heathen. Finally, a simple, controversy-free video from the 66 year old except for that scene where they slaughter young children. Check it out below.